We’re delighted to offer online and mobile appointment booking for appointments made at least 4 hours in advance. For more immediate same-day appointments, please call the spa and we will do our best to accommodate your request. A credit card or gift card will hold your appointment. Call one of our spa coordinators to book your group* appointment or customized spa package. PARKING Enter at the end of the “U” shaped drive to access the lot behind Liberty Physicians. Park at the south end of the lot and follow the walkway between the two buildings which will lead you to our front door. Please honor our cancellation policy. For single guest / single service: When you provide us with at least 24 hours notice there is NO charge. Cancellations made with at least 4 hours notice but less than 24 hours notice will be charged 50% of the service price. If you provide less than 4 hours notice or fail to show up for your appointment you will be charged 100% of the booked service. For multiple guests/ multiple services: When you provide us with at least 48 hours notice there is NO charge. If you provide at lease 24 hours notice but less than 48 hours notice you will be charged 50% of the booked services. If you provide less than 24 hours notice or fail to show up for your appointment(s) you will be charged 100% of the booked services. *Spa parties and groups with four or more guests require special reservations, deposits and advance planning. Please contact the spa via email or phone to schedule your event, review our spa party cancellation policy, or for more information. We ask that cell phones and other electronic devices be turned off or set to silent during your visit with us. Please keep conversations at a low volume. 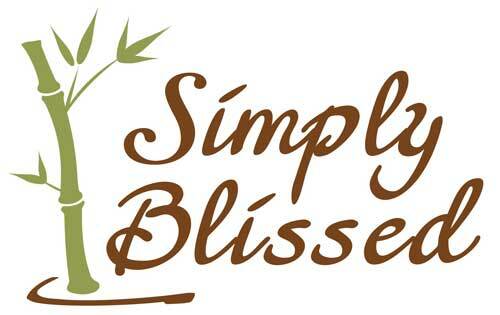 On January 1, 2017 Simply Blissed became a gratuity free establishment. This change to our tipping policy was part of a larger effort at Simply Blissed toward exemplary service and professionalism. Over the years, our guests have complimented us on how nurtured and cared for they have felt. That level of exceptional care will never change. Our warm, professional staff isn’t here for the tips; they’re here for you. This also means that if you receive several of our services in a single visit, you will no longer need to know separate prices of services in order to split a tip between providers. One simple payment will cover everything. Simplified Bliss!